Samsung continues to expand its Galaxy A series to new territories, but it looks some markets are getting more devices compared to others. During a launch event in China, Samsung introduced four smartphones, the Galaxy A80, A70, A60, and A40s. The first two have been revealed last week, so we already know about them, but the Galaxy A60 and A40s are new phones that have been announced until now. We don't know yet if these will be exclusive to China, but we can safely assume they will be priced higher if Samsung decides to bring them to other markets. Both new phones belong to the mid-range category, although Samsung worked hard to include at least one “premium” feature that will set its devices apart from the competition. Even though they are considered mid-end phones, the Galaxy A60 and A40s are quite difference specs-wise, and the same goes for their prices. For example, the Galaxy A60 boasts a huge 6.3-inch LCD Infinity-O display with FHD+ resolution. 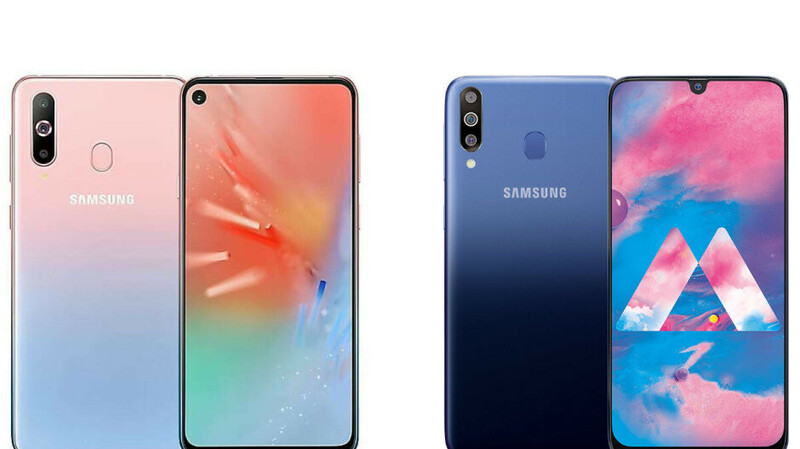 Also, Samsung has decided to trade the (in)famous notch for a punch-hole design, a compromise that many will find more than welcome. It's one of the reasons that Samsung has been able to design a phone with a 92% screen-to-body ratio. The same display is used as a speaker thanks to the Screen Cast sound technology, which also allows the manufacturer to use the space where the speaker should have been included for other purposes. The punch hole in the top left corner accommodates an impressive 32-megapixel photo snapper, while the back side features a no less impressive tripe camera: 32MP+8MP+5MP. Two other components are positioned on the back – a LED flash and a fingerprint sensor. Hardware-wise, the Galaxy A60 packs all the ingredients to offer top-notch performance: a Qualcomm Snapdragon 675 processor, 6GB RAM, and 128GB storage. Finally, the smartphone is powered by a decent 3,500 mAh battery, but it lacks 3.5mm audio jack. Ironically, the cheaper Galaxy A40s comes with a slightly larger 6.4-inch Super AMOLED FHD+ Infinity-U display, which features a waterdrop notch that includes a 16-megapixel selfie camera. On the inside, the Galaxy A40s packs Samsung's Exynos 7904 chipset with eight cores, 6GB RAM and 64GB storage. Unlike the Galaxy A60, this one is equipped with a massive 5,000 mAh battery with 15W fast charging support, which should offer at least several days of usage. The triple camera on the back side is of a slightly lower quality compared to Galaxy A60, but it's still great for the price you pay: 13MP+5MP+5MP. A LED flash and fingerprint sensor are positioned on the back side as well. Now, Samsung introduced the Galaxy A60 and A40s in China but did not say whether or not they will be launched in other countries in the future. That being said, the prices announced earlier today might be different in other markets. Still, just to give you an idea of how aggressive Samsung has decided to be in China, we're going to list the prices announced by the South Korea company. According to Phoneradar, the Galaxy A40s will be the cheapest of the two, as Samsung will sell it in China for the equivalent of $225 (€200). Those who want to go for the much better Galaxy A60 will have to come up with $300 (€265) upfront. 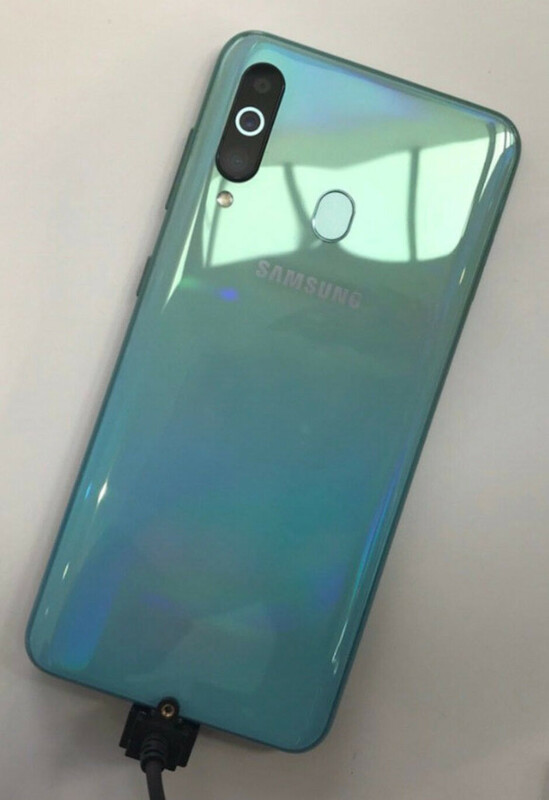 It's also worth mentioning that during the launch event Samsung did not announce when exactly the Galaxy A40s and A60 will be available for purchase in China, but since they've already been unveiled, it shouldn't take too long until they hit the shelves. >92% screen-to-body ratio It’s only 85%, from my calculations. A60 will probably be able to run gcam since it's using SD675, so seems like a good deal. But perhaps LG v35 is a better deal for this price.. although with worse s2b ratio? I' guessing it would be exclusive to China-only. Same as the A8S. Colored ring around the camera, A60 has Infinity-O and back FPS but A-70 doesn't? That's weird. will one of them of compact size?. 5-5.5" sized phones? !